In his sixth year performing with Bangarra Dance Theatre, Luke Currie-Richardson is a descendant of the Kuku Yalanji and Djabugay peoples, the Munaldjali Clan of South East QLD and the Meriam people of the Eastern Torres Strait Islands. Luke performs in Bangarra’s new work Dark Emu, created by Artistic Director Stephen Page in collaboration with Yolande Brown, Daniel Riley and the Bangarra dancers as a creative and emotional response to Bruce Pascoe’s book of the same name, which challenges the ‘hunter-gatherer’ myth of pre-colonial Aboriginal Australians. Luke’s passion for his culture is clear. “Tradition is closest to my heart,” he says, “and for me emotion is stronger than technique, so I find it hard to call myself a “dancer” in the classical sense. “Other members of the company have stronger technique,” he says, acknowledging the genius of Bangarra’s Director Stephen Page, who uses the strengths of the dancers to get the best out of the company, respecting each performer and balancing tradition and discipline. Reflecting on the theme of Dark Emu, expressed by director page as “Before colonisation, Aboriginal people were one with the land and respect for earth, sky and ocean was central to life”, Luke Currie-Richardson’s sees his strongest cultural connection through his Torres Strait ancestry, to the sea. He draws on this Torres Strait heritage as a source of strength in his performance and his work with Indigenous communities across the country, which he sees as a key aspect of his work. Speaking of Bangarra’s work, Luke Currie-Richardson emphasises the importance of this respect for, and connection with, country as essential to the company’s work, whether performing in Australian cities, in remote communities or in global cities, the company tells stories to continue tradition, bring history and issues to light, and always have some hope for the future. 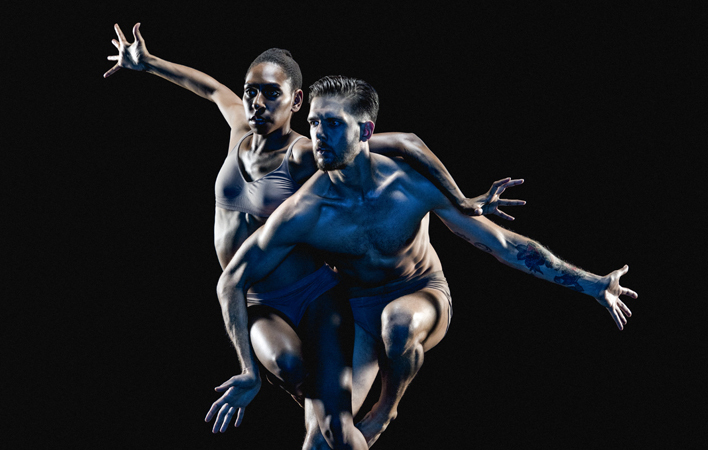 “Director Page and the company’s ability to balance contemporary and traditional forms is respectful and challenging, like “telling the same story with different accents”. Luke takes pride in representing Australia and in Bangarra’s use of the universal language of dance, to communicate between cultures, telling traditional stories, making contemporary art and addressing political issues. Dark Emu has resonance for the modern world paralleling Director Page’s stated intent for the work to, “make people aware of the strength and resilience of Aboriginal people and celebrate their profound knowledge of agriculture and aquiculture, which belongs at the epicentre of Australian history”, with the impact of climate change and the need for stewardship. “It can show non-indigenous people their own connection with culture”, says Currie-Richardson. Luke has also experienced the trauma of a culture clash in his embrace of a career in dance. As a noted basketballer attending Erindale College, he made the transition to dance with Canberra’s QL2 youth dance company and experienced ‘bullying and torment’ for his choice. Thankful that the more positive perceptions of dance, and particularly dance for men, in his own tradition which have enabled him to become a role model for young people in communities across Australia, he sees dance emerging and crossing over with sport as a way for men to express their cultural values. Whilst his emotional connection to tradition is primary, in his own practice Luke Currie-Richardson is challenged by contemporary questions about his art. In discussing Dark Emu and its theme of the sophisticated technology of pre-colonial Australians, Luke Currie-Richardson connected Aboriginal Astronomy, the “Emu in The Sky”, the Milky Way, with working in space as a performer. Luke’s contemporary thinking about performance and space combined with strong cultural values and the desire to tell the story of Indigenous Australians emphasises the value of Bangarra and works like Dark Emu to Australian art, culture and history. 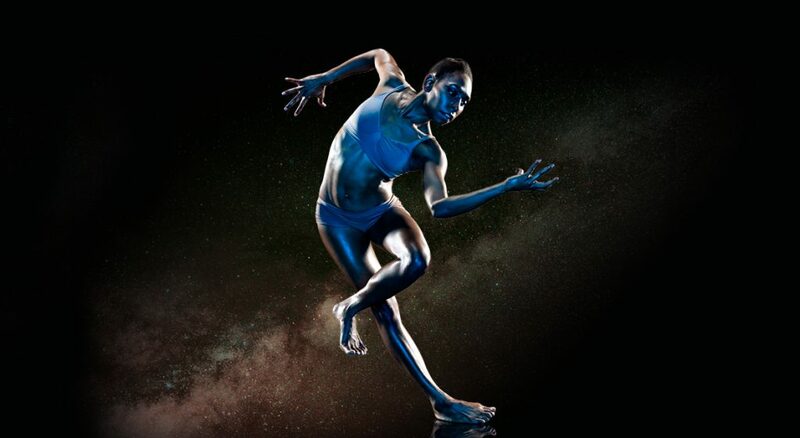 Bangarra Dance Theatre returns to Canberra a major new dance work, Dark Emu, which will open at the Canberra Theatre Centre on Thursday 26th July until Saturday 28th July. Tickets can be purchased from the theatre website via this link.